Because I loved my creation for lasagne last time when I used yoghurt instead of tomato sauce, I decided to make it again and show you step by step the way I made this delicious lasagne. It took me 20 minutes to prepare it and about 20-25 minutes backing it. I took a package od 1 1/2 pounds (750g) frozen vegetables mix and stew it in a big pan for 10 minutes. I added some soya sauce to get a better taste. In the meantime the vegetables where stewing I took a lasagne pan and oiled it with BUTTER. Than I put a film of yoghurt and the lasagne plates. Add the vegetables, a thin film of yohurt again, herbs, pepper, garlic and cheese (I used British cheddar). Add a shift of lasagne pasta plates and cover it with yohurt - you will need this because your pasta needs liquid to be cooked and not burn in the oven. 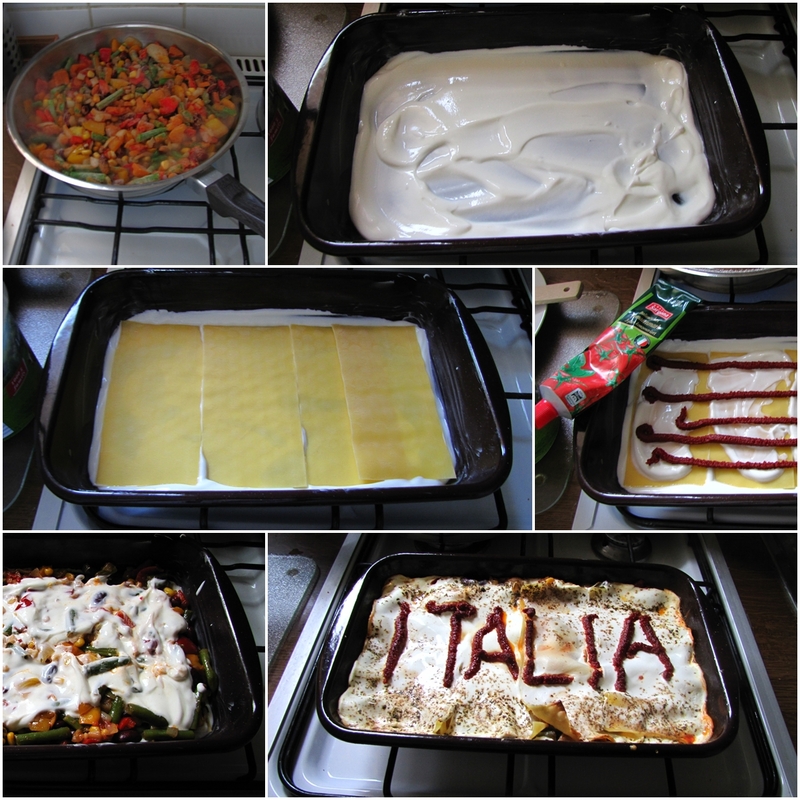 I allowed myself to show my love to Italy. Cook for about 25-30 minutes in the oven.